GitHub - keshiim/ZMJTipView: Fully customisable tooltip view in Objective-C for iOS. Want to be notified of new releases in keshiim/ZMJTipView? 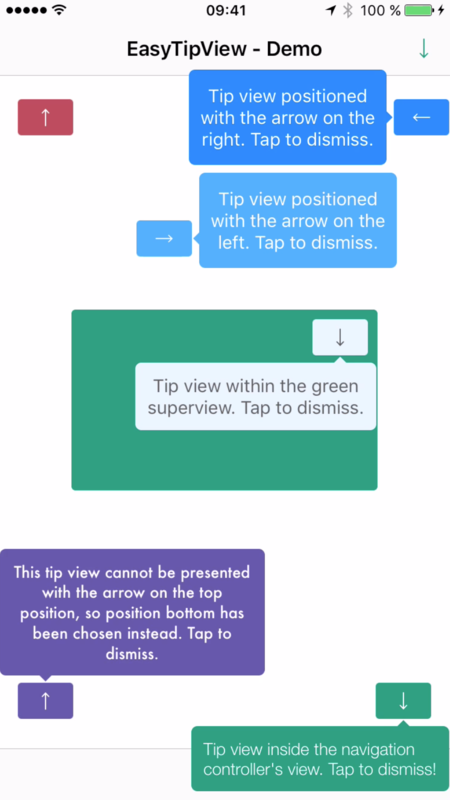 ZMJTipView is a fully customisable tooltip view written in Swift that can be used as a call to action or informative tip. Fully customisable presentation and dismissal animations. ZMJTipView is available under the MIT license. See the LICENSE file for more info.